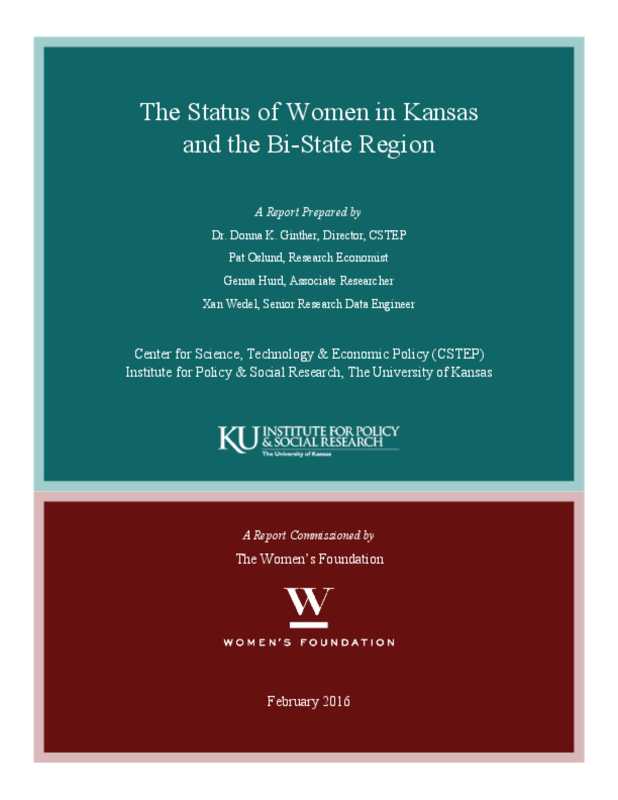 In 2015 the Women's Foundation commissioned a study on the status of women in Kansas with the University of Kansas's Center for Science Technology & Economic Policy. The full study was released in March 2016, and will provide a baseline for continued research that will inform reasonable policy solutions for women and their families. Copyright 2016 by Women's Foundation. All rights reserved.